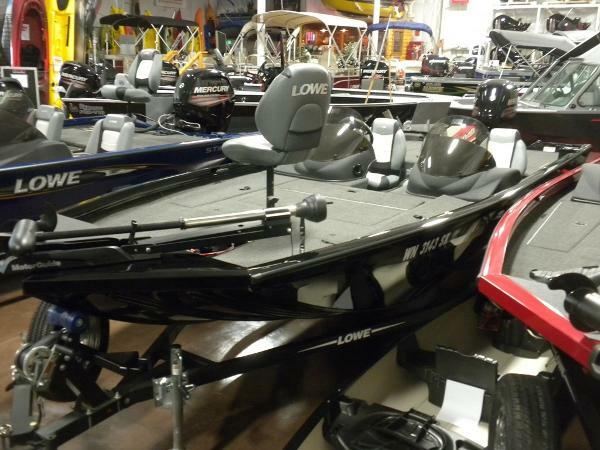 2016 Lowe Stinger 195 DC The legendary Stinger 195 DC empowers anglers with its convenient dual-console layout and superior performance, guaranteed to get you on the fish, fast. And with a massive casting deck, two large livewells and premium components, you’re fully armed to bring home a trophy haul. Discover why Lowe consistently wins CSI awards for customer satisfaction; 26 awards and counting! Please note: This boat model may or may not be in-stock. A Nationally Advertised Price, if listed, may change without notice or include accessories not fully described herein. Please contact your local, authorized dealer for exact details on model availability and package pricing. 2016 Lowe Stinger 195 DC TSee this new "2016" Stinger 195DC with 115 4-stroke at our New Location.Elephant Boys Boating Store14811 E Sprague AveSpokane Valley, WA.Grand Opening Special$24,387.73Stinger 195 DC OPTIONSPAINT-METALLIC BLACKO/B,MERC 115HP,ELPT,4STRAILER/LB-2200-70-19-SF-ST-FLT BLKOPT,TILT STEERINGOPT,RECIRCULATING PUMP FOR STRN LIVEWELLFISHFINDERTROLLING MTR-FW45,X3,45"SHFT,12V-STDOPT,RECESSED TROLLING MTR FOOT PEDALOPT,DUAL BANK BATTERY CHARGER-FACT INSTLDOPT,(1)TRANSDUCER BRACKET-WELDED ONRigging ( Labor, Oil, Hardware, PDI, Prop, Battery The legendary Stinger 195 DC empowers anglers with its convenient dual-console layout and superior performance, guaranteed to get you on the fish, fast. And with a massive casting deck, two large livewells and premium components, youre fully armed to bring home a trophy haul. Discover why Lowe consistently wins CSI awards for customer satisfaction; 26 awards and counting! 2017 Lowe Stinger 195 DC !!! $500.00 Instant Rebate on ST195 Stingers!!! 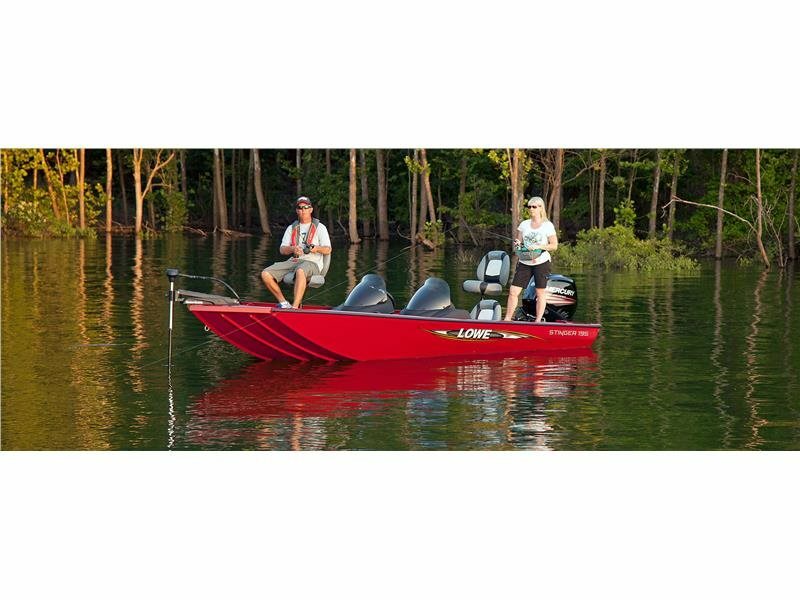 Designed to multi-species fishing specifications, this super-wide 85" wide hull is one of the most stable fishing platforms available - all while running and handling much better with smaller outboards. The decks provide huge storage boxes, an extra-long 9'6" rod locker, plus two 44", 23 gallon divided livewell/ baitwell combos featuring super-reliable Flow-Rite plumbing and timers to satisfy the most dedicated angler. Standard pre-rigged package includes your choice of Mercury outboard (up to 115 hp), MotorGuide FW46FB trolling motor, Lowrance X50DS Fishfinder with temp, choice of three color coordinated exterior/interior schemes, Teleflex instrumentation, 20 gallon built-in gas tank with in-dash gauge, TufDeck aluminum decks and floor liner, 18 oz. stain resistant carpet and a painted bunk trailer w/ swing tongue. 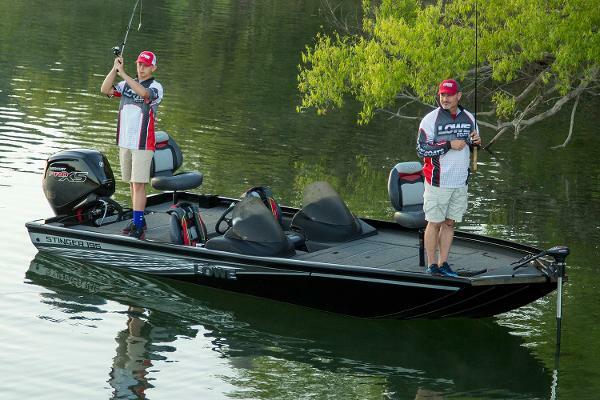 The Stinger Bass Series features the widest decks available - up to 50 percent larger than most leading competitors. 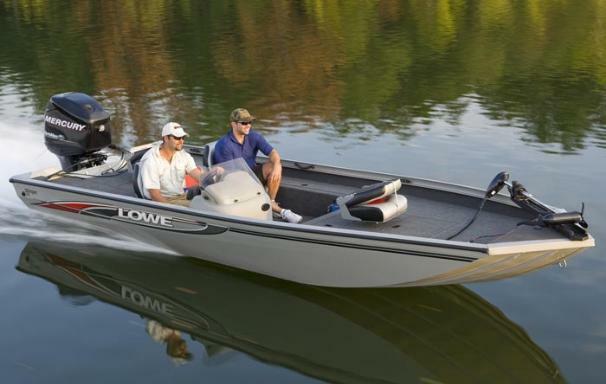 These advanced designs are more stable and run better with lesser HP outboards and heavier 4-strokes. 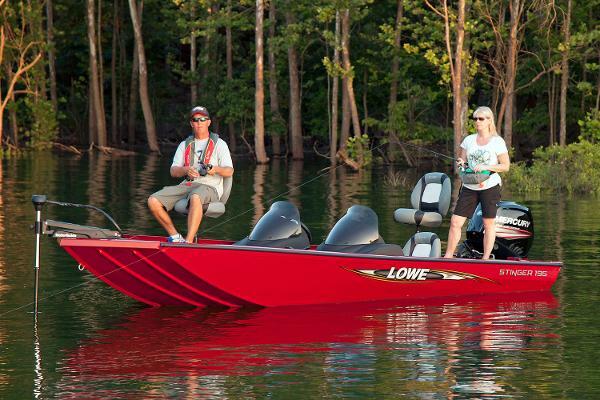 Tournament-class, standard components include a MotorGuide trolling motor, Lowrance fish locator, Teleflex gauges, painted trailer with swing tongue, plus your choice of Mercury outboard. 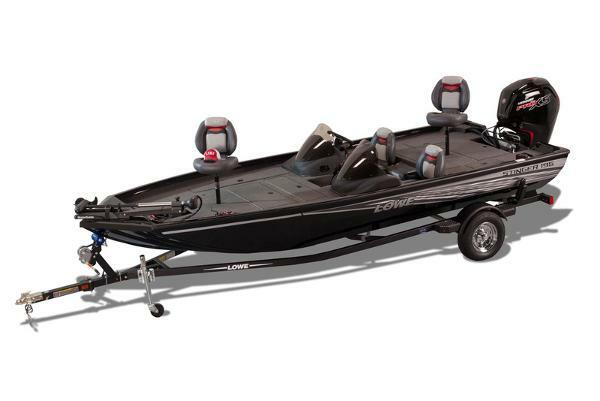 Key fishing features include a 44" long, 23 gallon divided livewell with timer and super-reliable Flow-Rite plumbing, plus an easy-access, center-mounted 7' rod locker, four in-deck storage compartments, under-seat storage, driver, center and passenger seats and two movable pedestal fishing seats. To ensure years of trouble-free operation, Stingers feature totally wood-free, all-welded, all-aluminum construction backed by our Lifetime Limited Warranty. They're the best-fishing, best-value aluminum bass rigs ever.